Most aspiring pilots begin with obtaining their Private Pilot’s License. This first license, once acquired, will allow you to fly many small aircraft with your friends, family, pets, or whomever you choose. You will be able to rent airplanes for cross-country trips. The next step is generally the instrument rating. This allows you to fly in the clouds! Once you have acquired at least 250 hours of flight time, a Commercial Pilot’s License is generally next. This allows you to be hired to fly. Initial jobs might include flying skydivers, hauling cargo, or crop dusting. After Commercial, many people take their Flight Instructor exams and begin teaching others the joy of flying. To fly for the airlines, corporate, or other large-aircraft operators, you will need your Multi-engine Airline Transport License. For this you will first need to accrue 1500 hours of flight time. Flight training is a fun, educational experience and there is a lot to know! Here, we’ll break down what you need to do. If you are a non-US citizen wanting to start flight training, please visit the TSA clearance information page first. To start Part 61 flight training, you can either begin with ground school, flight training, or both simultaneously. Please visit the Private Pilot Course page or Sport Pilot Course page to view the training outline. In order to take the final test to earn your license, you’ll need to complete more than just flight training. To pass the FAA written test, you’ll need to complete Ground School or a home study course in order to get the endorsement to take the written test. 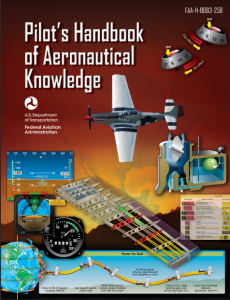 The FAA written test is based off much of the content found in the Pilot’s Handbook of Aeronautical Knowledge. 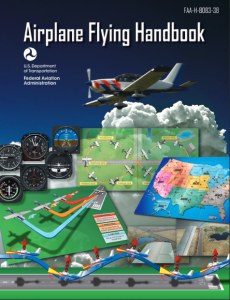 You’ll also want to access the Airplane Flying Handbook to learn how to execute aircraft maneuvers. AeroDynamic Aviation requires Aircraft Renter’s Insurance for students and renters to fly solo. The required coverage is $20,000 in aircraft damage liability. We suggest Aviation Marine, AOPA, or Avemco for insurance brokers. In order to get endorsed to take your checkride, you’ll need to show your instructor you can perform the various maneuvers up to FAA standards, found in the Airman Certification Standards or Practical Test Standards. Finally, we’ll set up your checkride with a Designated Pilot Examiner. What's a student pilot certificate? A student pilot certificate is required for anyone without a pilot’s license who plans to solo. As of March 1, 2016, there are new rules for obtaining your student pilot certificate. The process will take approximately 3 weeks and involves a TSA clearance. For foreign student pilots, please refer to our page on Foreign Pilots. For details on the new Student Pilot Certificate rules, please click here. The FAA’s website also has full details; click here. When do I need a TSA clearance? For all Non-US citizens, even those that hold a Green Card or Naturalization document will need to get flight training clearance with the TSA. The training that requires TSA clearance is your initial FAA license, be it a Private Pilot license or a Commercial license with a foreign Private Pilot license. I'm a foreign pilot here to time build; what do I need to do? For those pilots wishing to time build in the US who have a foreign certificate, the first step is getting your foreign pilot’s license validated with the FAA. The process usually takes several months, so best to get it started as soon as possible. Aircraft Checkout– The checkout will consist of the ground portion covering the aircraft review form and a flight checkout reviewing basic certificate maneuvers. Please visit our Documents webpage for copies of the Renter’s Agreement, aircraft checkout sheet, pilot operating handbooks, checklists and more. For renters out of our San Jose location, we offer block rates to fully paid up members in good standing. Block prices assume 10% credit has been earned. Reid-Hillview members in good standing who maintain a positive balance earn 10% credit for check or cash prepayments (7% for credit cards) of $500 or over. For those guests who have a specific time frame they would like to fly in, we highly suggest pre-booking your flights. Contact the office at info@aerodynamicaviation.com to set up your schedule. A security deposit will be required to hold your spot. AeroDynamic requires our aircraft renters to have insurance for their protection. While we do have fleet insurance, this does not cover any deductibles on the renter’s behalf or provide personal liability coverage. We recommend buying Renter’s Insurance as soon as you start training. Accidents do happen. Doors get left open in the wind, ladders fall over, etc., and this can be an expensive out-of-pocket cost. By having a policy to cover you, accidental damage should be covered by your policy. Read your policy carefully. Many insurance companies offer a Rental/Non-owned policy. We recommend Avemco, Aviation Marine, and AOPA. Visit their websites to learn more or call our office for advice. Flying rented aircraft? Avemco Insurance Company has coverage designed to protect you. Click on the Avemco® link to learn more, or to buy online. Own an airplane or planning to buy one? Avemco Insurance Company has coverage designed to protect you, your family and your airplane. Click on the Avemco® link to learn more or to request a quote today. If you have your own airplane, or if you are on someone else’s policy, you are often coverage by the “Non-owned” portion of that policy. Email a copy of the policy to info@aerodynamicaviation.com once you have it or if you have any questions about it being sufficient. For any policy, you’ll want at least $20,000 minimum liability, but pick a limit that you are comfortable with based on your assets. We don’t like to think of bad situations happening, but lawsuits do happen and we want everyone to be as protected as possible. Ready to schedule a flight? Have a question? Give us a call!